~~ SIZE/DIMENSIONS: This painting is a triptych, and the total size is 16x36 inches. 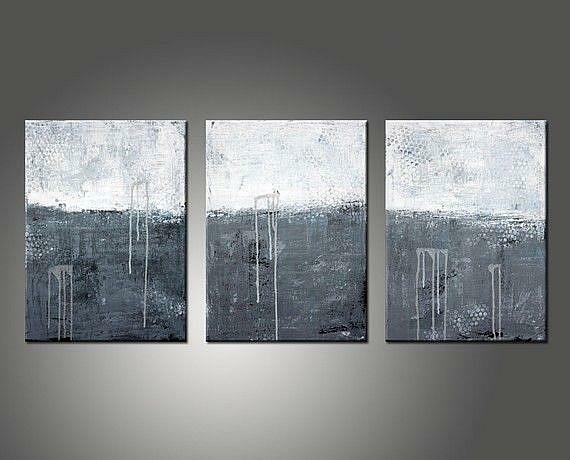 Each canvas is 16x20 inches, and the canvas depth is approximately one inch. ~~ COLOR: Light, dark and smoky gray combined with white and subtle hints of black and blue.